The ever-so-popular 6x6 Hemstitched Cocktail Napkin with exciting bright borders made up for the Valentine's Day holiday. 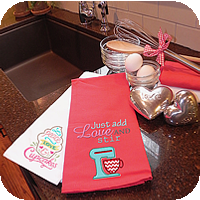 A quick and easy way to stitch those fun Valentine's Day designs you've been collecting! 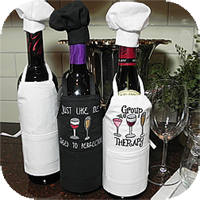 They can be used for so much more than just cocktail napkins! 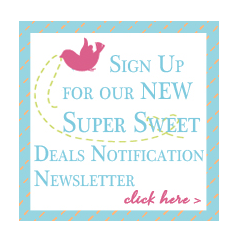 Put 2 together with a brightly colored ribbon for a small sachet or pillow! Sew onto a placemat for a colorful pocket for the napkin! 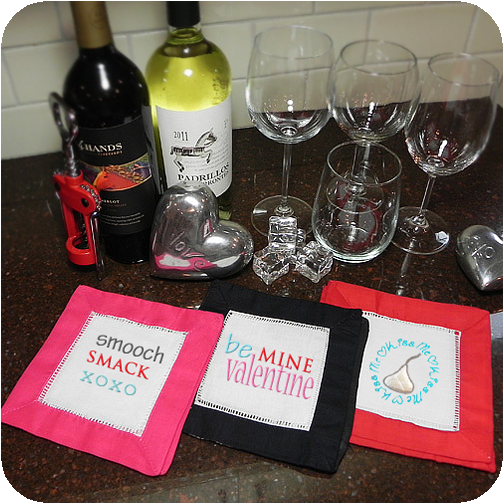 For our Valentine's Day samples we used our Bernina software to create the first two designs using various fonts. We found the "Kiss Me Hershey Kiss" from http://www.etsy.com/shop/RockinRobinApplique from Rockin Robin Applique. Measure approximately 6" x 6"